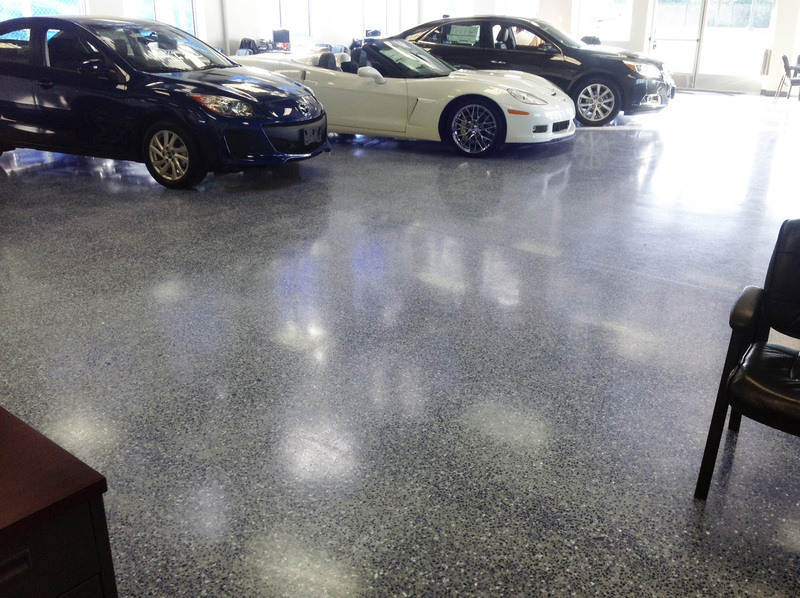 The Lee Partyka Dealership located in Hamden, Connecticut needed a flooring surface that was tough enough as the Chevy Silverado, efficient as the Chevy Cruze and polished like the timeless redesigned Chevy Camaro. 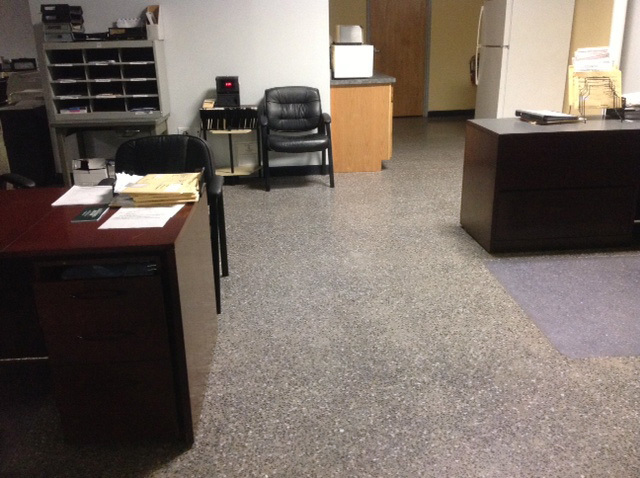 They sought out Bomanite Licensee Premier Concrete Construction (PCC), a decorative concrete craftsman, that has installed millions of feet of durable, low maintenance, hard-working polished concrete floors. 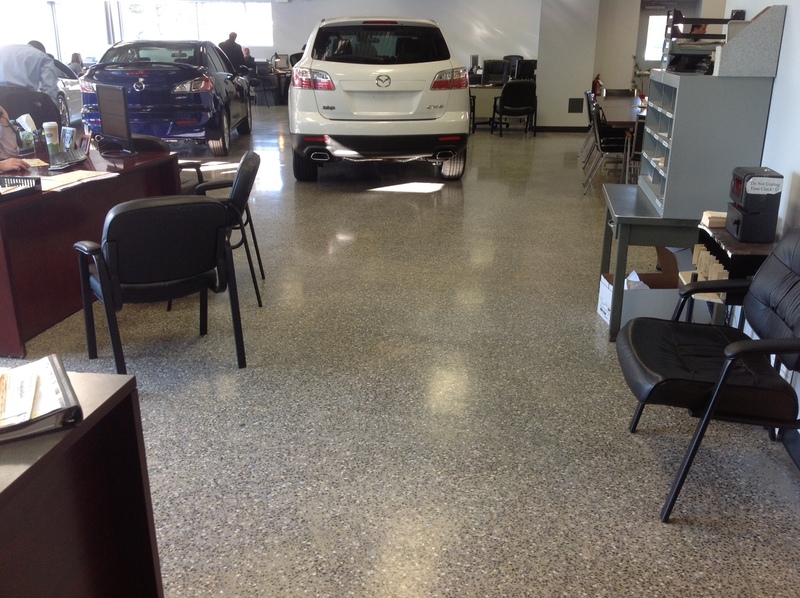 Together the Partyka Dealership and PCC worked through hard concrete product, on-site samples and colors to come up with the best solution and design for the dealership interior flooring. The Modena Monolithic Bomanite Custom Polishing System was chosen for 6,000 square feet of space. Blended with exotic glass and basalt aggregates, the Modena Monolithic, an engineered interior cementitious polished topping is perfect for renewed or worn surfaces. Bomanite Modena Monolithic is generally installed at a 3/4” to 1 1/2” thickness dependent upon the size of aggregate with thicker section thickness possible for select applications. Bomanite Modena Monolithic may be lightly walked on 24 hours after placement, with grinding and polishing generally taking place after three days or longer of cure time. The Bomanite Modena system is a low-cost alternative for renovation projects and provides the durability and strength for this exceptionally long lifespan system. With the industry’s lowest lifecycle costs, low to zero VOC and minimal maintenance requirements, Bomanite Modena Monolithic was the optimal choice for the Partyka Dealership. 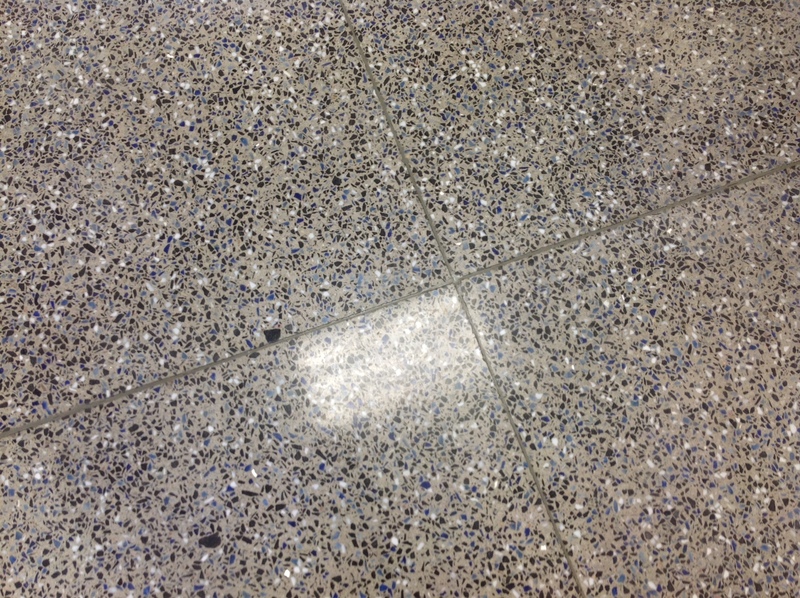 The primary benefits to the Bomanite Modena Custom Polished System are the range of colors available, the aggregate characteristics, the excellent durability of color and the ability to transform ordinary concrete into highly decorative flooring.